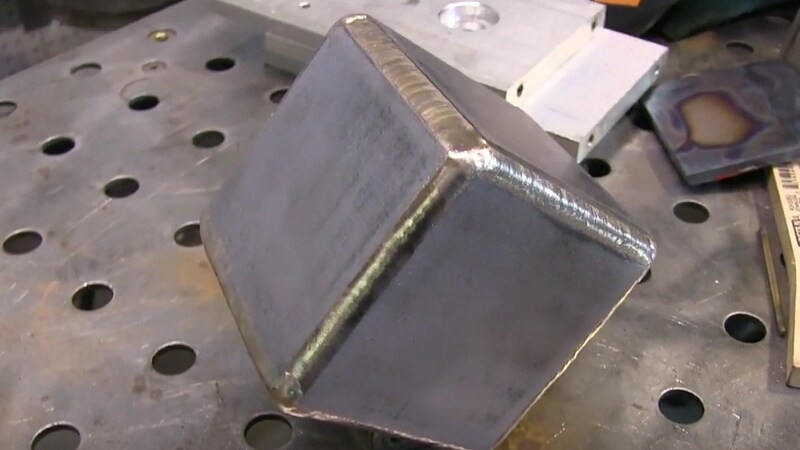 This video is a part 2 video about tig welding/ brazing a steel cube. soldering does not melt the base metal and is below 840F. Brazing does not melt the base metal but is above 840F. 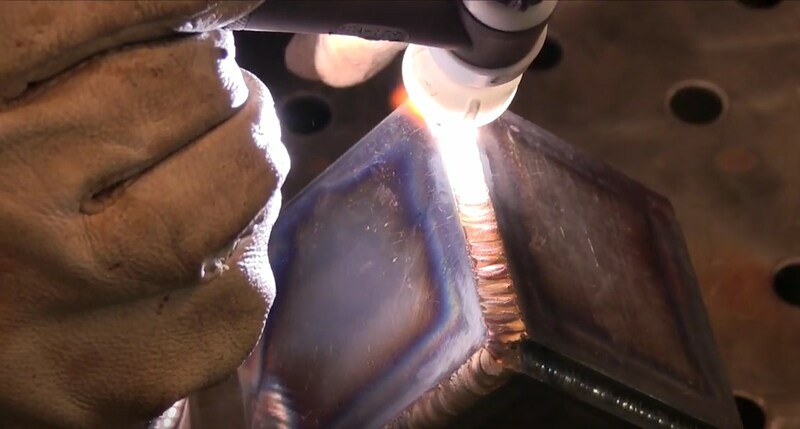 The melting point of silicon bronze tig rod is between 1800 and 1990 F... while the melting point of steel is around 2700 f.
So that is why using silicon bronze for steel is actually tig brazing. One of the uses of silicon bronze rod is for metal art. Silicon bronze is really easy to use once you get accustomed to the concept that you are not really melting the base metal. In fact, one technique that I use to judge how much amperage is needed for tig brazing with sil-bro is to barely puddle the base metal and then back off the amperage to where base metal is no longer puddling...then add silicon bronze filler. The base metal should be shiny bright clean and completely free of mill scale, oil, paint, or rust. I originally thought that I might use this cube for a hand prop for welding other items on the bench. But when I showed it to my Son, he wanted it for a conversation piece. The Steel cube I made in this video is now sitting proudly on my son Joey's desk. like maybe some horseshoe art, another bronze faced hammer, belt buckles, lamps, furniture, and more. 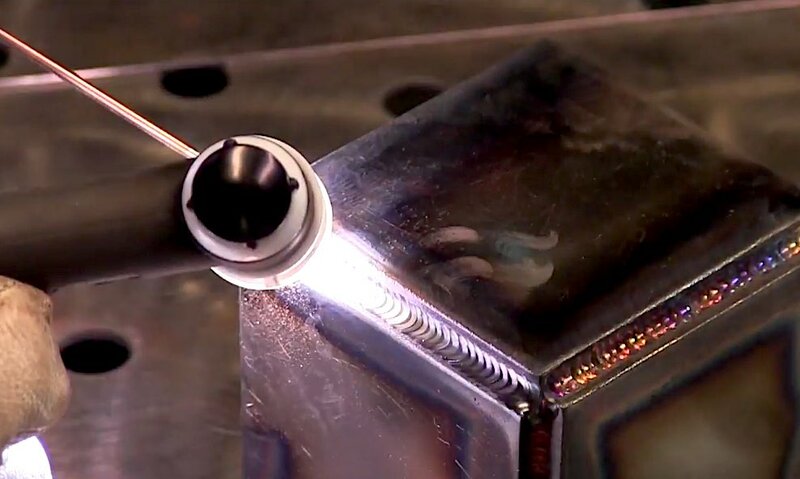 it is worth noting that silicon bronze filler metal is not as strong as er70 weld metal...and so you would NEVER want to braze something like a lifting eye with silicon bronze filler metal. But for art pieces, or for overlay of a hammer face, it works great and is fun to work with. I like aluminum bronze for tig brazing cast iron parts on AC. here is a previous video page where I built up an ear on a cast iron vise using aluminum bronze filler metal with machine settings just like what work for tig welding aluminum. Aluminum bronze is a bit stronger than silicon bronze and is very resistant to wear.